Representation matters. That’s more than just a hypothesis; it’s the value proposition on which Karen Okonkwo and Joshua Kissi based their new business. 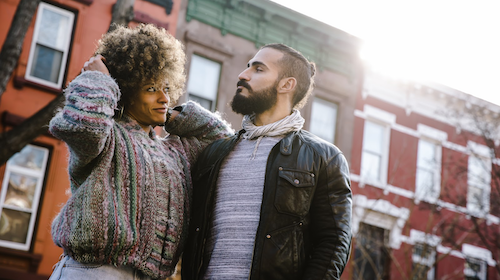 Karen and Joshua met through a friend, connecting easily as entrepreneurs and first-generation African immigrants. At the time, Karen ran a blog — among other things — and often lamented about how stock photography was stale and homogenous. Joshua, on the other hand, was a photographer and Creative Director. Wouldn’t it be great, they surmised, to create a stock photography site that offers more diverse images and changes the status quo? They both loved the idea but were at capacity, so they tabled it as a "coulda-woulda-shoulda." The tragic stories of two black men – Alton Sterling and Philando Castile – became an “aha” moment for Karen and Joshua: the only way to combat the devastating effects of systemic racism and racial profiling is to change the narrative around ethnic representation. And, thus, TONL was born. Q: How did you go about bringing this vision to life? Karen Okonkwo (KO): We started by surveying as many people as we could — industry people, friends, whomever — to see if the idea was even viable. The general consensus was that the current stock photography wasn’t relatable. So once we had some real data to back this up, we went full throttle and gave ourselves a year to launch. We worked and planned like crazy, but it was hard since we lived on different coasts. Everything went down to the wire, but we pulled it off in the end. Q: What’s been the response to TONL? KO: It’s been received really well. We’re still in our infancy, of course, but we have a growing client list that includes Fortune 500 companies as well as smaller mom-and-pop operations. Above all else, we have a passionate community. We love seeing people get so excited about our work. Q: What are your goals for TONL? Joshua Kissi (JK): We want to bring a new standard to stock photography, to change the narrative for people of all categories. People and companies often talk about the importance of diversity, but they don’t always back it up with their actions. We want TONL to be a global image resource, and we hope to grow it as much as possible while still maintaining our authenticity. That means capturing as many different categories, perspectives, and nationalities as we can. Does that involve launching in multiple countries? Who knows. But these are some of the things we think about. Q: TONL’s growth has been fun to watch. Was this a factor in choosing Salesforce Essentials and CRM? KO: Sales was definitely top of mind. We have East Coast and West Coast sales reps, so it was important to have a central place for them to track opportunities. I use Salesforce in my “other life” in medical sales, so I knew how it worked. 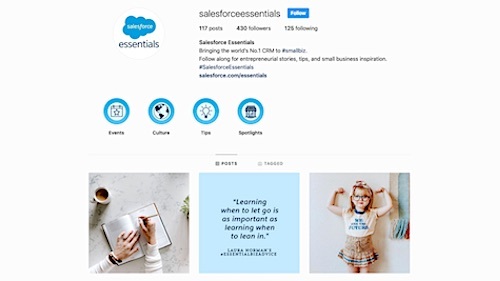 Salesforce Essentials had just come out around the time we launched, and it seemed like a perfect fit for us since it’s designed to help small businesses grow. It had everything we needed, so it was an easy decision for us. Q: Why is it so important to celebrate diversity? JK: There’s no downside to diversity. On an individual level, it empowers people to be themselves. On a business level, it helps companies tap into new markets and reach new audiences. The greatest contribution we can make through our platform of diverse stock photography is giving people a true sense of belonging. That’s what drives us. Q: The “Narratives” section of TONL’s website is fascinating. Why did you choose to include narratives from the models in your photos? KO: We added the narratives to tell a different story than what’s oftentimes (falsely) portrayed in the media about certain ethnic groups. Black victims, more often than not, get reduced to criminals, which leads to racial profiling. We wanted to do something different and shed a brighter light on people from all kinds of ethnic backgrounds in order to show the world that they, too, are just normal people — real people with real personalities. We wanted to give them a voice and let them be themselves. Q: Is there one TONL image that outsells the rest? Q: You’re both entrepreneurs with successful launches under your belts. What advice do you have for someone thinking about starting a business? KO: My advice is simple: know your "why." Ideas come and go, but you have to know the reason you’ll get up to work on even your lowest days. If you’re working with someone else, your why’s have to be aligned. If one person views the startup as a business and the other person sees it as a passion project, you’ve got a situation where two people are working together with different why’s. The why – not the what – is most important. 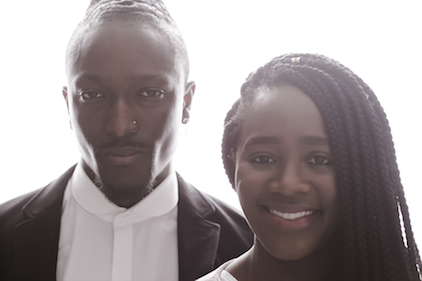 Check out TONL’s website to see how entrepreneurs Karen Okonkwo and Joshua Kissi are disrupting the stock photography market and affecting change. Then download The Impact of Quality and Values Driven Business Report to gain insights from more than 1,500 business professionals on workplace equality and values driven leadership trends. 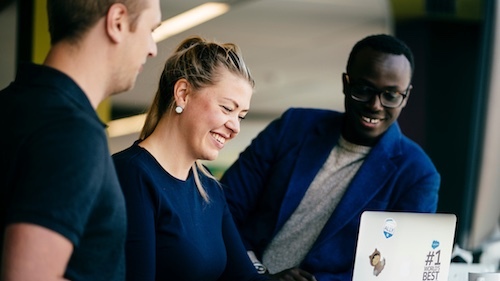 This article is part of an ongoing series highlighting the many voices and stories that make up Salesforce’s diverse community of Trailblazers. Salesforce helps you find more customers, win their business, and keep them happy so you can grow faster than ever. Learn more about our small business CRM solutions or follow us on Twitter at @SalesforceSMB and join the conversation with #SalesforceEssentials.